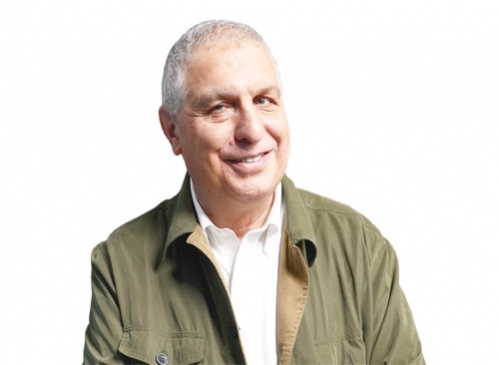 Errol Morris sits in his office in Cambridge in the US. A horse’s head hangs from the wall in the dimly lit room, while snow falls outside. The 65-year-old former private investigator’s latest film, The Unknown Known (2013), about Donald Rumsfeld, was born out of a fascination with a different kind of precipitation: The 20,000 internal memos that Rumsfeld called “snowflakes”, produced over his six years as defense secretary for George W. Bush. One memo, dated several months before 9/11, contained what became Rumsfeld’s foundation for invading Iraq. In March 2003, Rumsfeld answered journalists asking about the links between Saddam Hussein and terrorists with those definitions. Morris’ film title, however, describes a state that Rumsfeld failed to grasp. Morris, after interviewing Rumsfeld for 34 hours, wonders if Rumsfeld had not been aware of what he did not know in the first place. In 2003, as Rumsfeld was making the case for invading Iraq, Morris released The Fog of War, an in-depth interview with former US defense chief Robert McNamara, who publically stated that the US-Vietnam War was a mistake and that the US had carried out war crimes. The film won an Oscar for best documentary. Today, Morris is one of the executive producers of Joshua Oppenheimer’s eye-opening documentary The Act of Killing, nominated for the same award. Morris’ career as documentary filmmaker spans three decades and covers a host of topics, from Gates of Heaven (1970), about a pet cemetery business, to The Thin Blue Line (1988), which freed a man falsely convicted of murder. For Morris, the key question is what the thoughts of those behind such mass killings are. The lack of satisfactory answers in his 34-hour interview with Rumsfelf reminded Morris of Hannah Arendt’s notion of the banality of evil, which she wrote of after following the trial of Adolf Eichmann. This is a depressing and different conclusion from The Fog of War. Morris said his wife, art historian Julia Sheehan, likens McNamara to the Flying Dutchman, who flies around the world seeking redemption, and Rumsfeld to Lewis Carroll’s Cheshire Cat, who cannot stop grinning. In The Fog of War, some focus on McNamara’s admission of guilt and remorse, finding redemption in the elderly man’s tearful regrets about the American, Japanese and Vietnamese who perished in the wars he fought. Morris said that such a focus was skewed. While McNamara’s admissions that the war was wrong were remarkable, he says that viewers should not mistake the film for an apology. Morris agreed to executive produce The Act of Killing after watching a rough cut of the film, which depicts boastful killers in Medan re-enacting how they murdered suspected “communists” in the 1965 Indonesian genocide. For Morris, The Act of Killing also offers no redemption.